Our ability to cultivate wheat and other cereal grains was a key factor in our ability to strive toward the civilization we now enjoy. It helped us reshape the Earth’s surface and grow our population to the current 7.5 billion inhabiting the planet today. But that population is projected to pass 9 billion by mid century and then rise as high as 11 billion by 2100. Feeding that ever-growing population will be challenge, particularly when you consider that we’ve essentially maxed out the available farmland. The key to our future is sustainability and finding ways to improve the efficiency of our food production. One of the ways this may be accomplished is through further modification of the wheat that helped us reach this point. Researchers are looking for ways to give wheat the ability to essentially fertilize itself from the air. It’s a tall order, but the technical progress is encouraging. Scientists are beginning to prove that they can engineer nitrogen fixation into staple cereals like wheat. They did it recently with tobacco, chosen because various lab techniques already were established for this plant. Doing the same in wheat will amount to major evolutionary intervention, but we have traveled this route before with spectacular results. Humans, after all, have been shaping the evolution of wheat for 11,000 years or so –a reality that may become more popular in public discourse, because researchers have now reconstructed the genome of Triticum turgidum — the wild form of wheat from Neolithic times that is ancestral to most wheat that you find in the supermarket today. 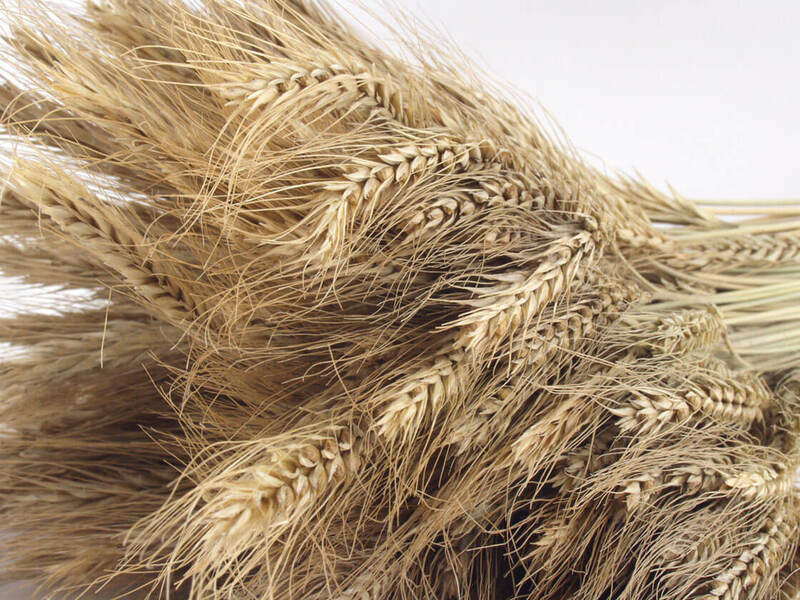 In work published in the prestigious journal Science, researchers at Tel Aviv University (TAU) highlighted two clusters of genes that were active in the genome of the Neolithic wheat but have lost their function in the course of evolution to modern wheat. Using genetic engineering techniques, the researchers reactivated one of the two gene clusters, with striking results. The resulting wheat grew with spikes that were brittle up high, but not in the lower sections. The researchers also found that Neolithic modification of just two genes transformed T. turgidum from a plant that had dropped and scattered its seeds into a form of wheat that held its seeds in the stalk, thereby allowing harvesting. Resulting from various agricultural innovations onward from the ‘Neolithic Revolution’ that started about 12,000 years ago, such genetic modification gave wheat and other cereals the ability to sustain massively expanding numbers of humans. But what’s on the horizon takes things a few steps further. To support their growth, plants are equipped to utilize ammonia, ammonium, and especially nitrate — all high energy nitrogen compounds. They cannot utilize molecular nitrogen, however, though it comprises 78 percent of the air around them. In a process called nitrogen fixation, nitrogen is broken up and its atoms combined with hydrogen to produce ammonia. In another process, called nitrification, ammonia is oxidized to create nitrate. Volcanic activity and lightning can provide the energy for these processes, but the prime sources of nitrogen compounds in soil are microorganisms, whose genes encode for enzymes such as nitrogenase, which catalyzes fixation. Microorganisms enrich soil with the high-energy nitrogen compounds that plants need, but this is not adequate for growing cereals on the mega scale needed in the farming that supplies billions of people with grain. Consequently, farmers began fertilizing soil with naturally occurring substances, especially manure. 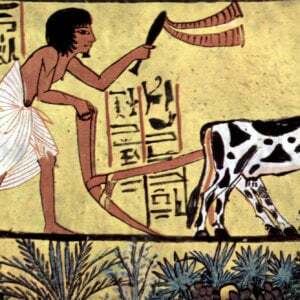 This practice fed humanity for millennia, but in the early 20th century it was realized that very densely populated regions, Europe in particular, would starve without an efficient means to make new powerful fertilizers. This brought professional chemists into farming, initiating the age of synthetic fertilizers. So dependent is humanity on this approach today that synthesizing fertilizers and putting them into the soil accounts for about 2 percent of our energy use. That is with a large carbon footprint, which will only get larger if we use more land to grow crops. Related article: Could modern influenza outbreaks escalate into devastating pandemics like the 1918 ‘Spanish Flu’? 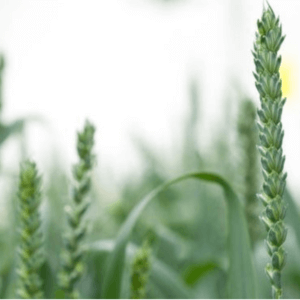 To solve the problem, biotechnology researchers seek to provide plants, especially major staple cereals like wheat, with their own capability to utilize nitrogen from the air. Then we could grow much more food, not merely on the same amount of land that’s in use today, but actually on less land. For the first time in modern history, humans could actually reduce the acreage that is occupied in producing food, while also eliminating the need for the very synthetic fertilizers that organic farmers refuse to use. 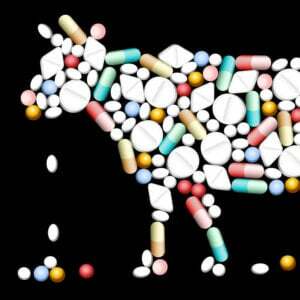 Naysayers might point out that it’s the cattle industry that uses land most inefficiently, that the human appetite for meat, especially beef and pork, is why food production uses so much energy and has such a high carbon footprint. They would be correct, but this does not negate the point that putting nitrogen fixation inside the plants would be a game changer. The nitrogen goal is not just for biotech enthusiasts. Organic food people and vegans should support it too. It’s good for the environment. It’s good for humanity. The question is not whether we should do it, but rather how to do it, for there are technical challenges. One strategy for bringing nitrogen fixation inside plant takes a lesson from legumes (lentils, soybeans, peas, alfalfa, clover, peanuts, beans, and carob) which have a symbiosis, an arrangement of sorts with nitrogen-fixing bacteria. The genes for the needed enzymes are not present within the chromosomes of the plant cells, but the legumes attract nitrogen-fixing bacteria to live within them, just as we have trillions of bacteria living within our gut. Scientists at the John Inness Centre in Norwich, UK, are working to apply genetic engineering to transfer this bacteria-harboring capability to cereal crops. You can think of this as the indirect approach to freeing cereals of the need for fertilizer. In contrast there is a direct approach, namely to provide the plants’ own cells with the genes that encode the enzymes needed for nitrogen fixation and nitrification. Chloroplasts are the plant organelles in which photosynthesis takes place, and they are descended from bacteria that once lived independently of eukaryotic cells — the domain of cells that comprise animals, plants, fungi and protozoa. 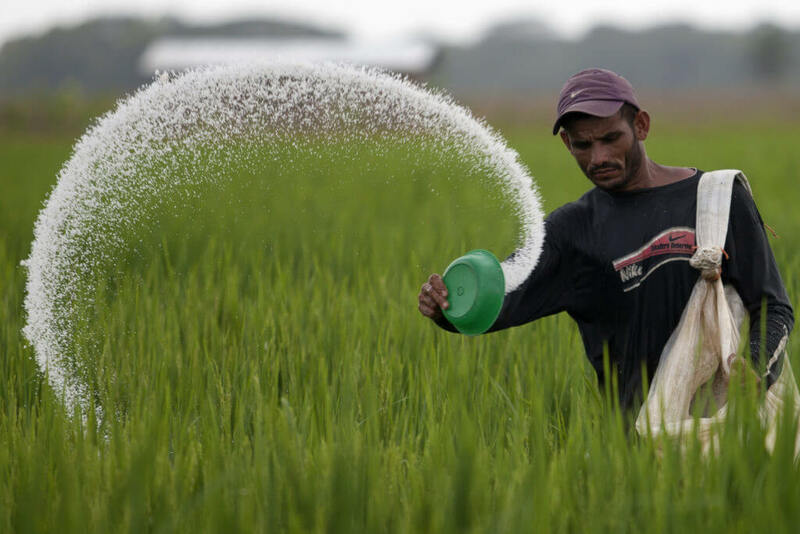 With this in mind, a company called Plant Genetic Engineering is using nitrogen fixation genes from cyanobacteria, the closest living relative to chloroplasts. The rationale is that the genetic payload will be tolerated inside the plant cells better than material from other types of bacteria whose relation to chloroplasts is more distant. The ultimate goal, of course, is to give nitrogen fixation capability to wheat and other cereals, but technical challenges line the road ahead. 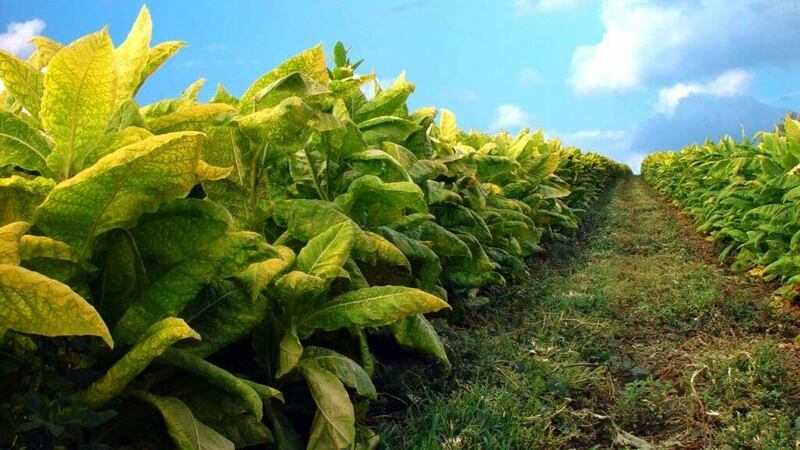 To facilitate initial progress aimed at demonstrating the feasibility of engineering nitrogen fixation into plants, Plant Genetic Engineering is using an established genetic engineering plant model, tobacco. 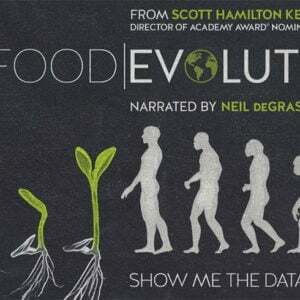 But the idea is that the technology will be applied subsequently to cereals. There is good reason to anticipate that this will happen, because Zaltsman’s team is preparing to publish some promising results. Essentially, they have found that nitrogen fixation can indeed be transferred to the tobacco plant. And so, it appears that humanity could take another bold step in the evolution of the crop that has been called the staff of life. David Warmflash is an astrobiologist, physician and science writer. Follow him on Twitter @CosmicEvolution.